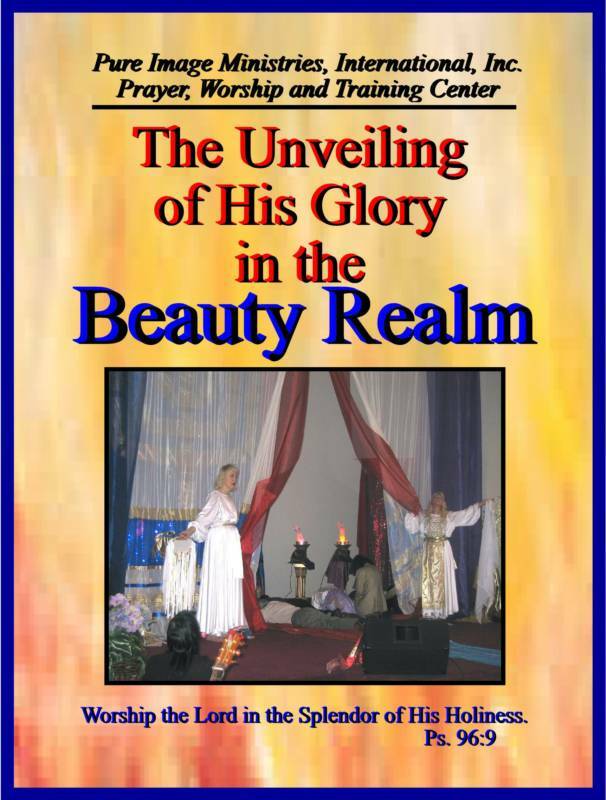 In this hour the Lord is beginning to unlock the door of revelation to His Beauty Realm; the Place where He dwells, the Place where He alone is King and we bow at His Glorious Throne. We are just beginning to peer in. What we are seeing is awesome and is transforming our lives and the Church as we know it in this hour. 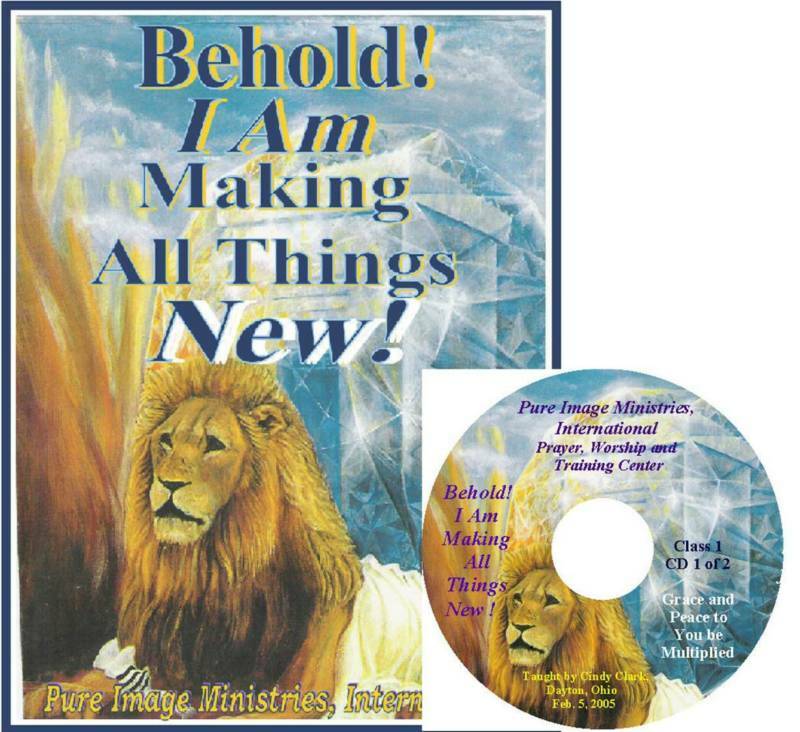 What you will find in this teaching manual is from many years of prayer, intercession, prophetic song, dance and teaching ministry. 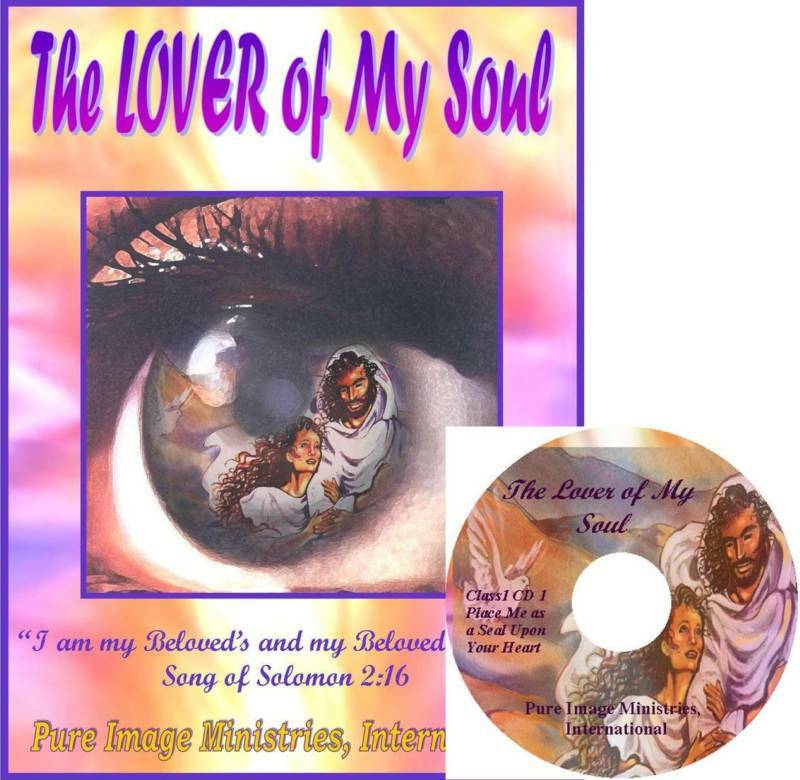 God is allowing us to begin to express the Holiness, Beauty and Majesty of Our Lord Jesus Christ through expressive worship and Artistic Revelations of The Spirit to help open the eyes and hearts of all. 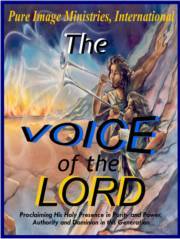 Are you having trouble understanding that God wants to communicate with you and that He wants you to know His Voice? This first manual will help shift you into a wonderful place of discovering God and teach you to hear and obey the Voice of the Lord. He calls us all to a new place of true intimacy in our relationship with Him and challenges us to move into the place of living a surrendered life. Does our life truly reflect what we say we believe? 02 - Behold! I Do A New Thing! 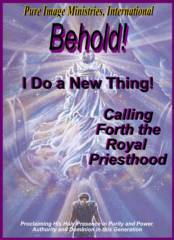 Do you know that God is calling you to be a part of His Royal Priesthood? The Lord spoke to me and said that His priesthood is defiled. 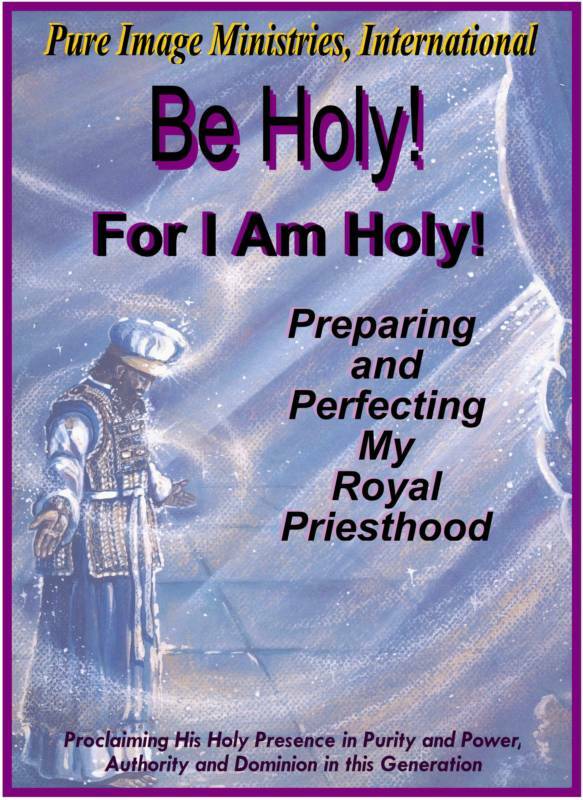 This manual calls His Royal Priesthood OUT of filthy garments and counterfeit worship so that they can begin to learn of Him and come into His Holy presence. 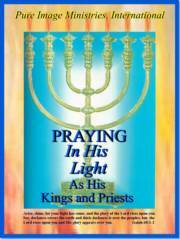 He is calling His priests to stand in the gap between the Holy and the profane with the sword of His Word, the Sword of Separation. 03 - Be Holy! For I AM Holy! 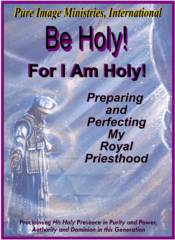 Are you living Holy before the Lord? 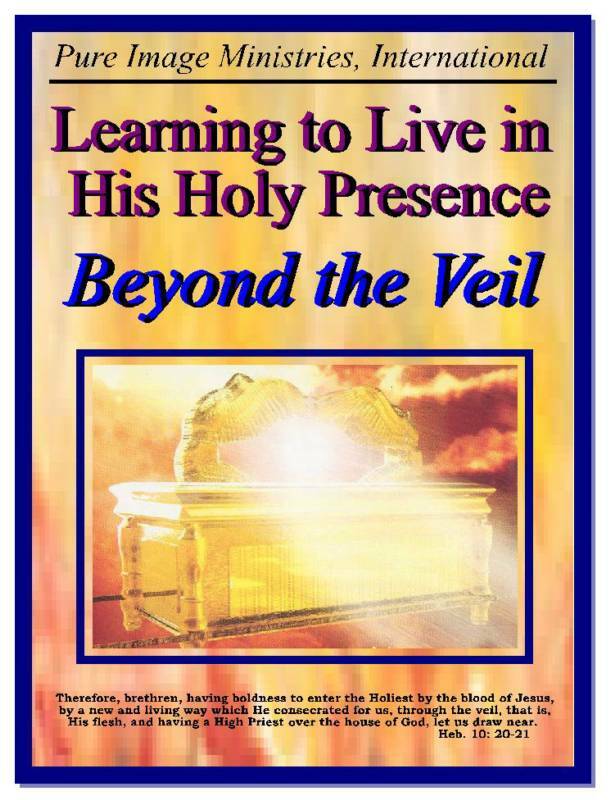 Have you ever studied the divine patterns of the Lord in His Holy Tabernacle? It is all about Jesus! 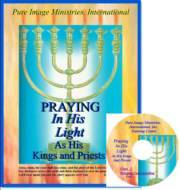 This manual give us a glimpse of God's ways and patterns and begins to teach us how to come into His Holy Presence. Let's discover together the patterns, types, and shadows to learn how to prepare a dwelling place for Him in our lives. 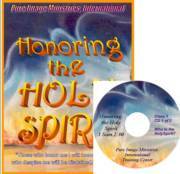 This manual is calling us to be holy and separate unto our God. It teaches how to approach a Holy God through the pattern of the Son as given to us in the Outer Court of the Tabernacle of Moses, where the Brazen Altar and the Brazen Laver are found. 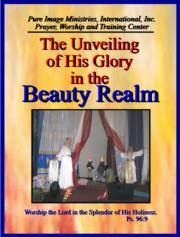 You will learn how to begin to change your filthy garments into priestly garments as you apply these revelations to your life. 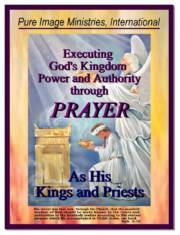 Have you ever thought about how God's Kingdom operates and functions? 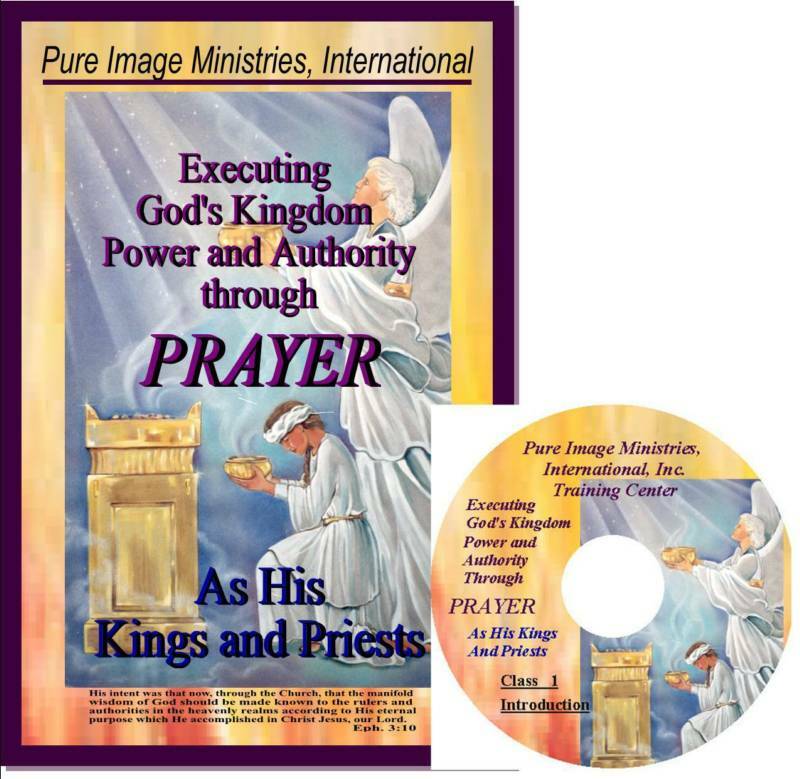 This study is designed to help introduce to you key foundational truths: what God's kingdom looks like, and how His authority rules and reigns! Before we can begin to execute God's kingdom authority on the earth we have to learn what it looks like and how it functions. Many are trying to operate in an authority that they know nothing about. Revelation of our priest/king identity in Christ is introduced and we are taught about priestly intercession and kingly rule--the King/Priest order of Melchizedek. He reveals Himself and His kingdom to us in the pieces of furniture found in the Holy Place of the Tabernacle of Moses: the Golden Lampstand, Table of Showbread and the Altar of Incense. This is quite a journey of discovering hidden truths of our King and His Kingdom. 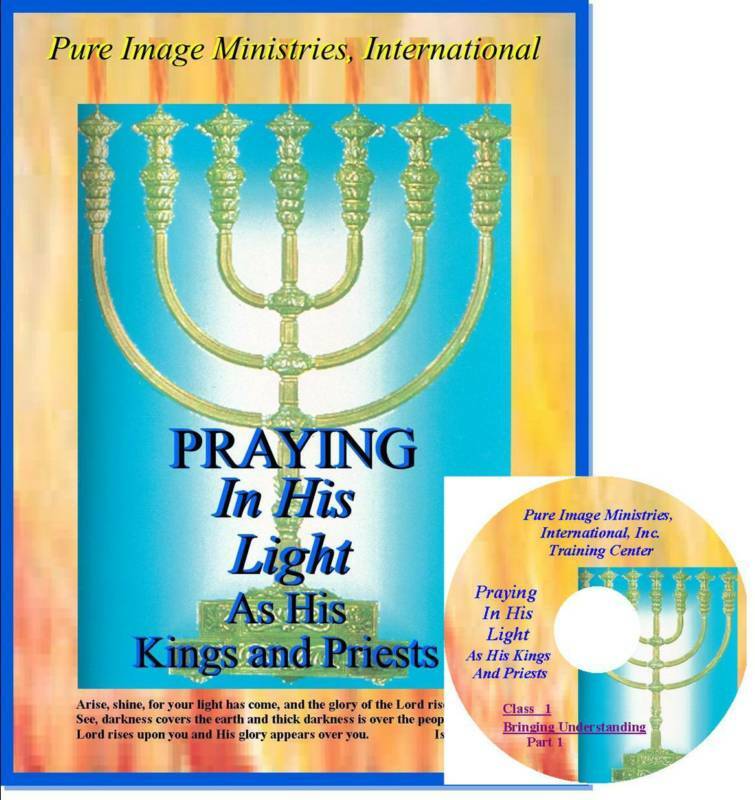 Do you know Jesus as the Light? Have you truly allowed His Light to come into your own life? 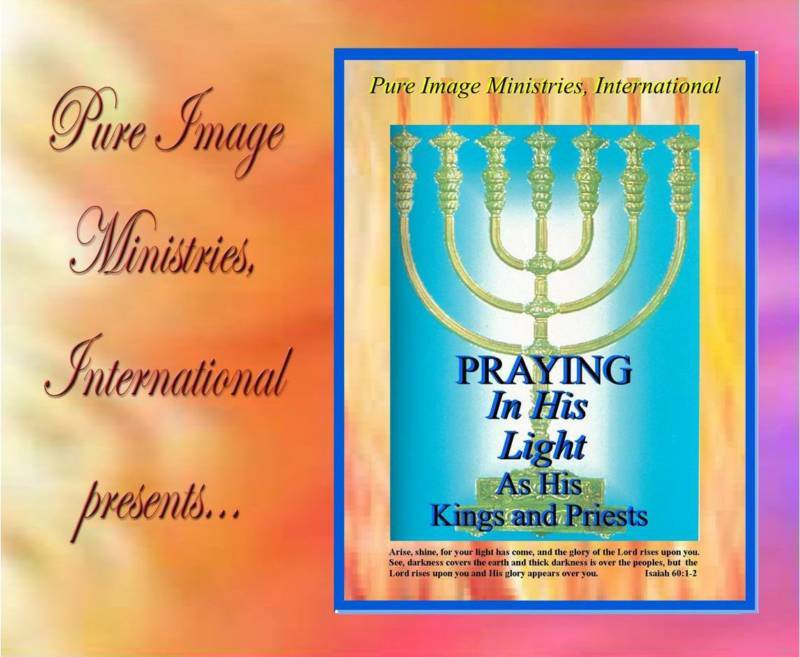 This study will teach you about intercession, and show you how to pray in His light. 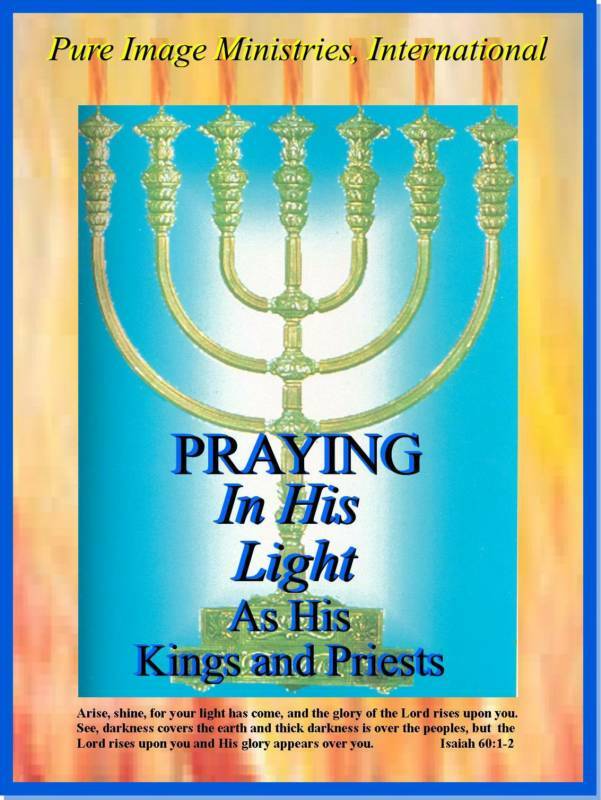 It will help bring understanding of Jesus revealed in the patterns and truths of the Golden Lampstand. We learn of the painful process that He went through and that we must go through to become gold purified by God! 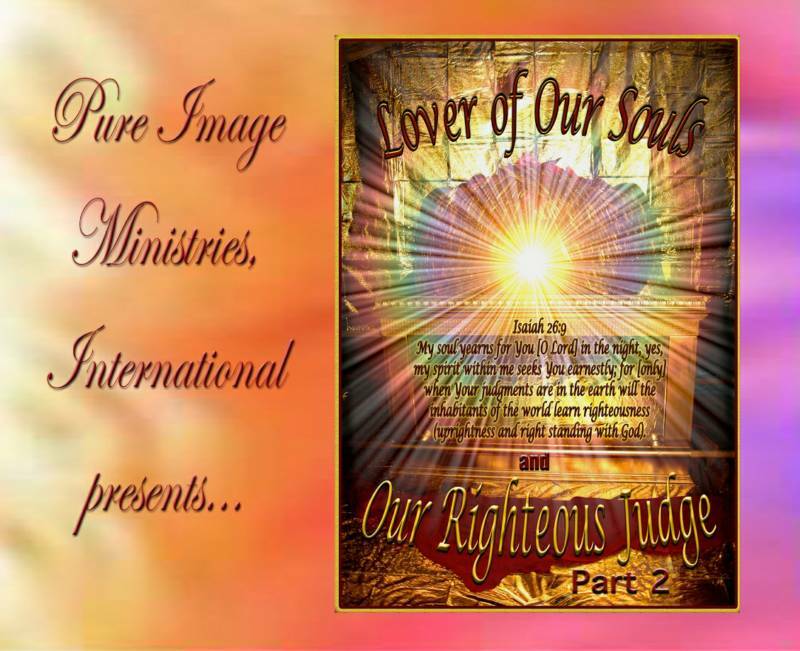 The Seven-fold Spirit of God before the Throne is introduced as we come into the place of greater illumination that will bring transformation to our lives. 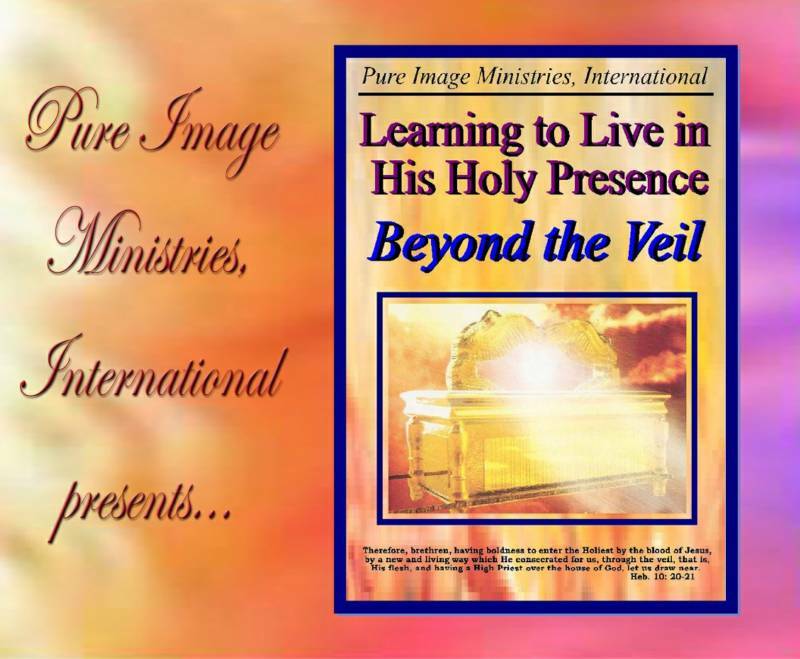 Has your view of the Father, Son and the Holy Spirit become distorted? 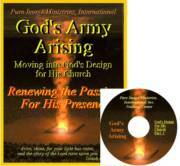 This study begins to introduce the move of restoration--returning to the Lord. He rent the Veil! Do you know that you still have many veils on your own heart and mind? 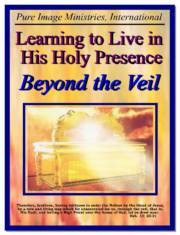 Most do not know that they can live beyond the veil! He is calling us by His Spirit to come in a little deeper and up a little higher longer! As we begin to explore what it means to come in beyond the veil. We will begin to see that some of our own mindsets are veils of Fear of Failure, Unbelief, Self Preservation, Self Pity, Cowardliness and Man Pleasing. You need a new way of thinking for a new way of worship. Come and draw near! Come in beyond the veil. With each place we come, there is more light and truth revealed so that we may see Him and ourselves more clearly. Have you lost your FIRE or have you let it be put out? This study is designed to help shift you from Pastoral thinking into true Apostolic thinking. 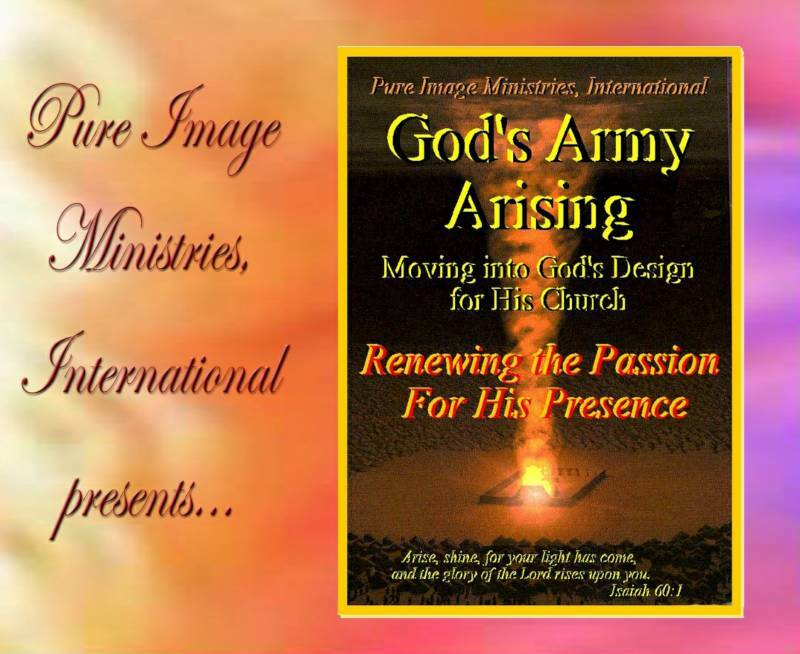 It is designed to help you transition from lukewarmness to a fiery passionate relationship with the Living God. 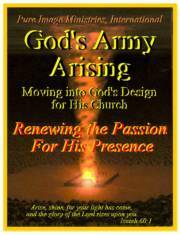 He is now forming and equipping with modern day weapons of warfare, His true apostolic church that is passionate only For Him! 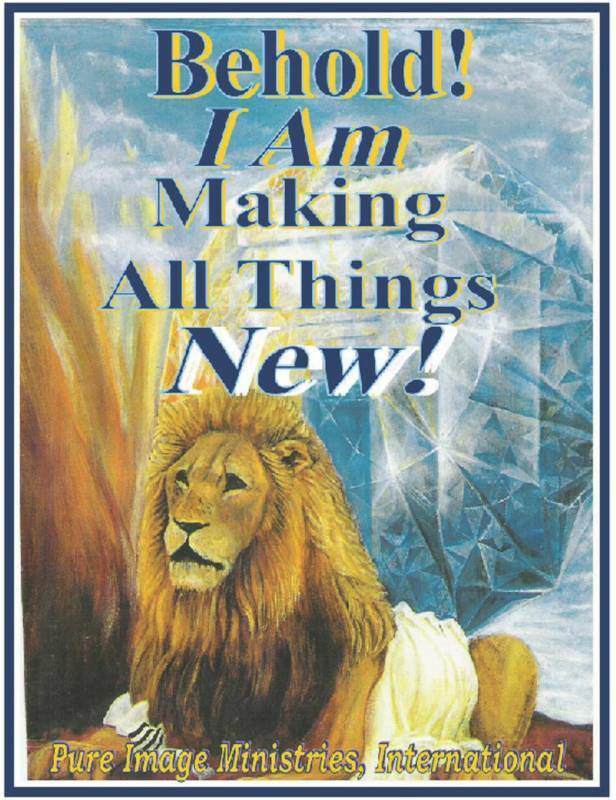 He is calling us all to return to His original design, because that is what God blesses and heaven recognizes. 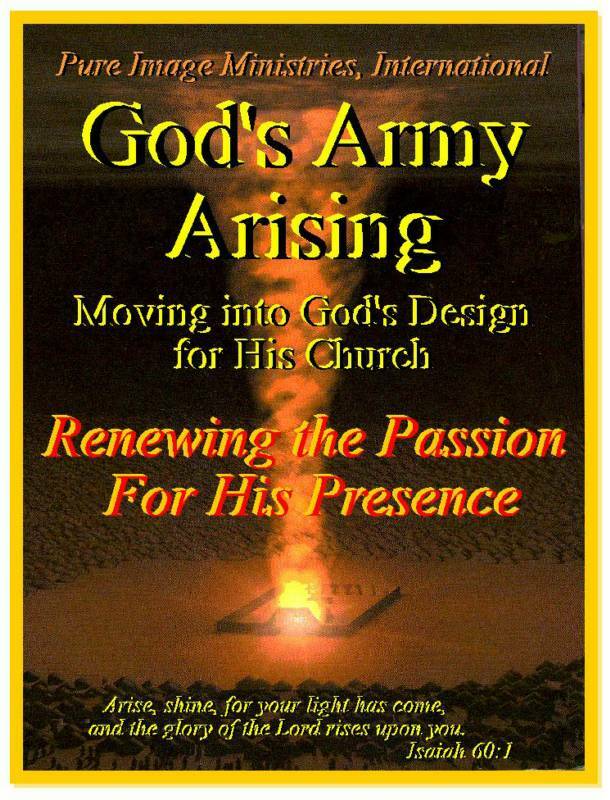 This manual is very radical and explosive and quite lethal to that which opposes the true move of God. It is a very sharp sword and it will challenge us all to renew again our passion for Him. Do you have a broken identity? Most of us do. 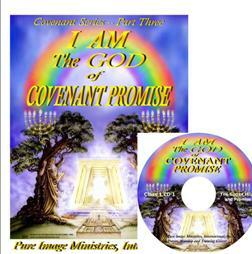 These truths will help bring real revelation of your God given identity. This study will help call you out of all the false identities that you have believed for years and continue to walk in today. The Lord will bring to light and expose all the hidden places of your own broken identity. He will challenge you to examine many of the places where you have allowed a false identity to develop and rule in you because of deep wounds in your soul. Some of the issues addressed are painful father and mother images, wrong authority figures, poor self worth and much more. 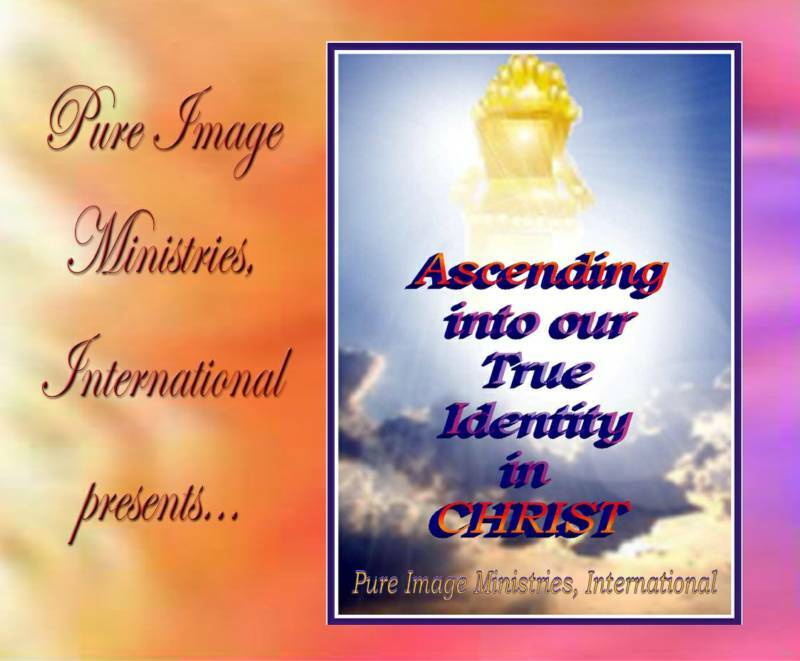 Let's ascend into our God given Identity. 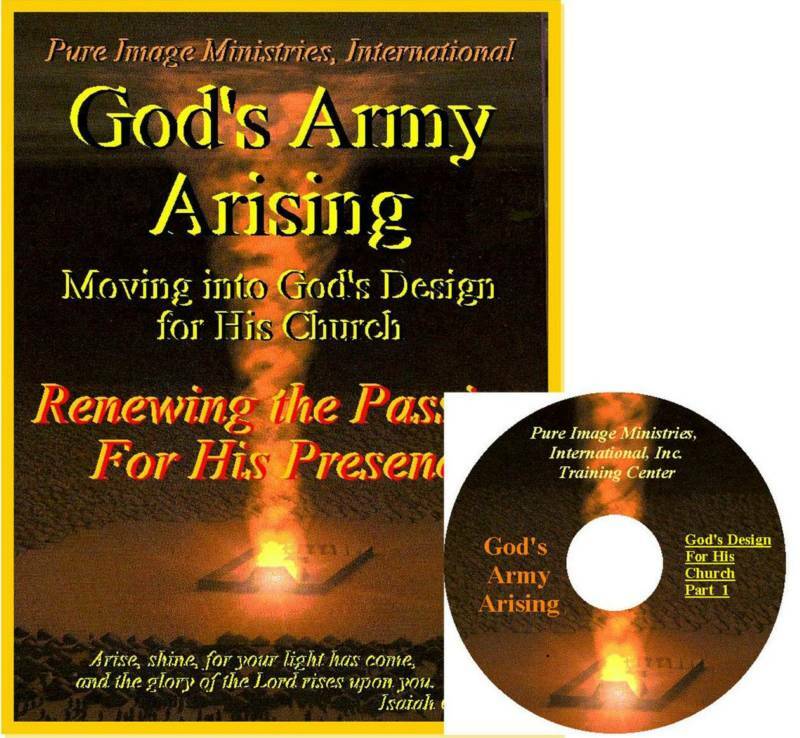 Is the death realm still operating in your life instead of the anointing of the new creation? This study is designed to help you get pregnant with NEW RESSURECTION LIFE! Where you can begin to hope and dream and live again no matter how many things have died. Oh, death where is your sting? 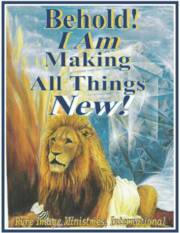 The Lord is longing to make all things new in you. 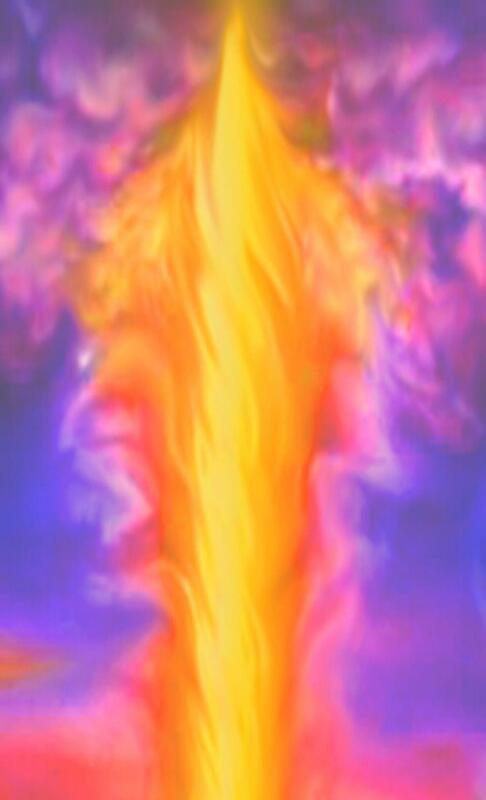 This will help you identify where the death realm is still working in you and release you into new life. Jesus said, "I Am the Way the Truth and the Life." 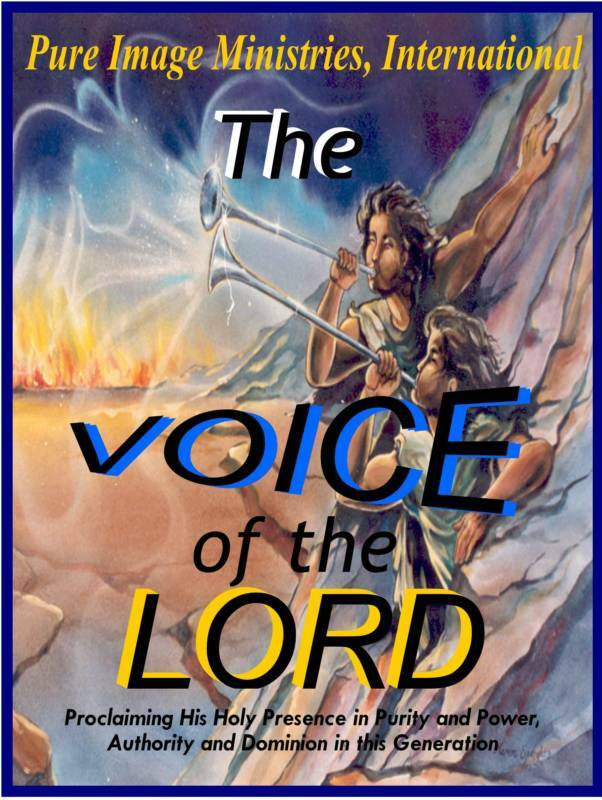 Do you know the LORD Intimately? This study is designed to help bring you up and out of the wilderness, learning to lean on the arm of your beloved Jesus. 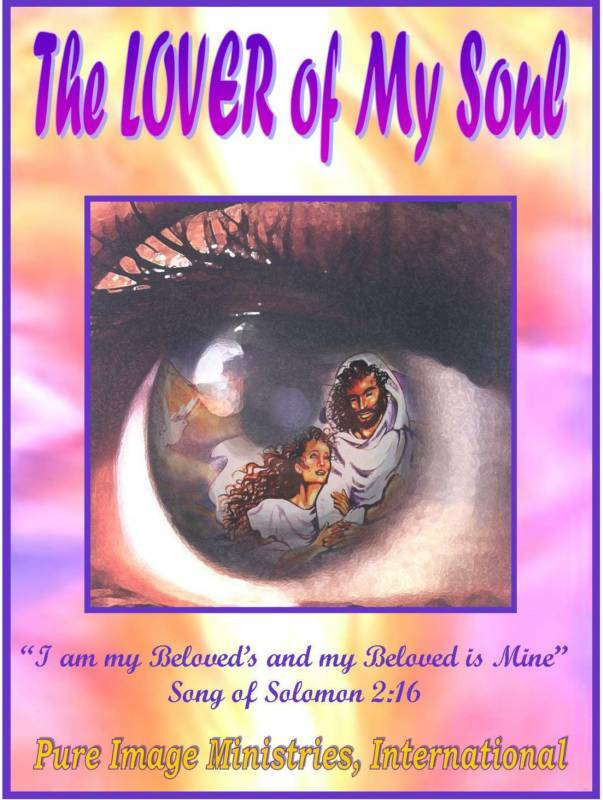 He will then gently take you on a journey past the Mountain of Myrrh, bringing you into His very heart beat, as he teaches you to trust the language of His love deep in the bridal chamber. This carries His heart beat! 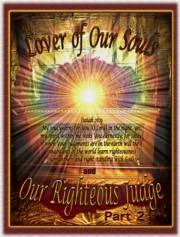 Have you invited Jesus in as your Judge? 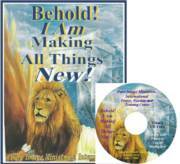 This manual is designed to rock you to the very core of your inner most being! As the LORD steps into your world as your beautiful Lover-Judge, hidden issues are dealt with very severely as the Lord reveals deep sins of rebellion, arrogance, bitterness, and pride. As He challenges us to take on His mantle of Humility, we are then hidden in Him. 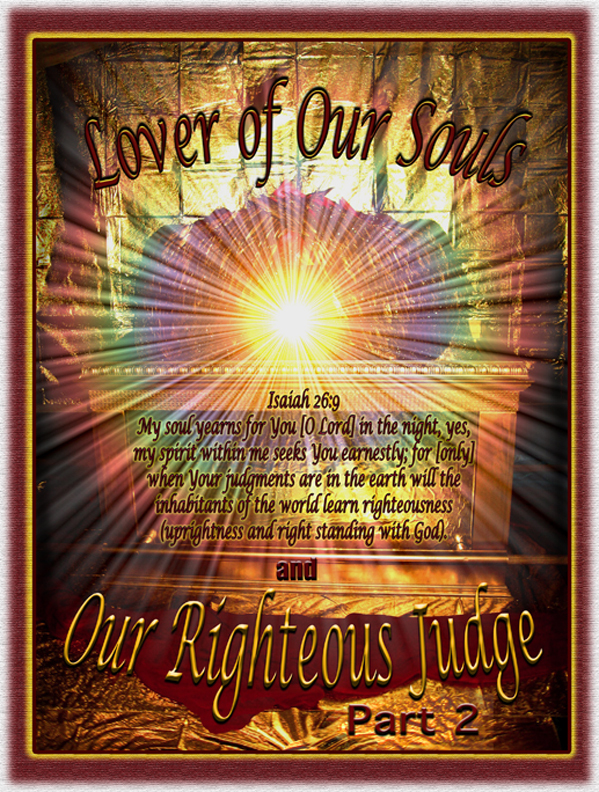 When we realize the depths of His love, we then begin to invite His judgments into our hearts and lives so that nothing or no one will separate us from Him. Come Lover-Judge! 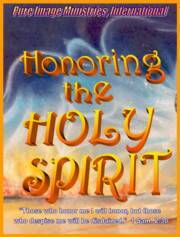 Do you know the Holy Spirit, you may think you know Him, but do you honor Him in your life? 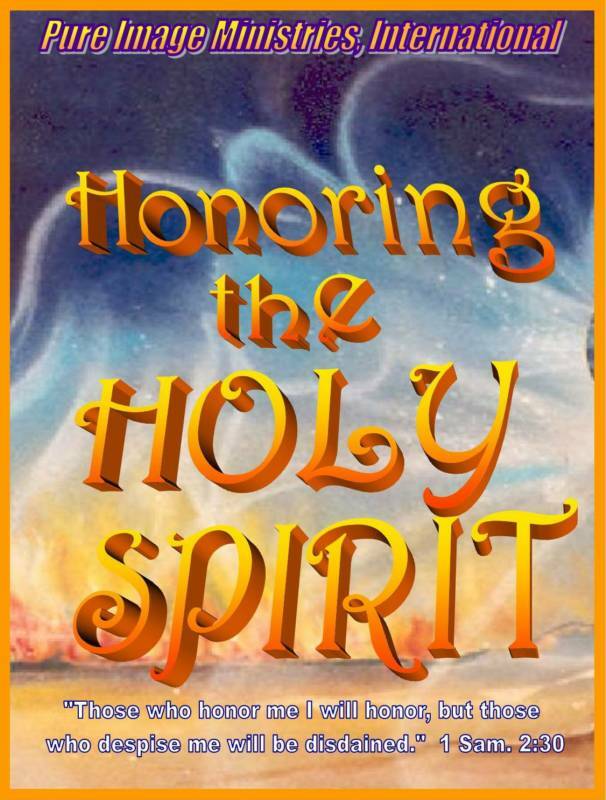 This study is designed to introduce you to the multi-faceted person of the Holy Spirit. 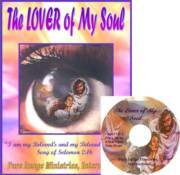 He is the Third person of the Godhead. He is the administrator on the earth. In these teachings we will discover Him in a brand new way, so that we may be led into all truth. Your eyes will be opened afresh as the revelation of who He is, as manifested through the many symbols of Oil, Fire, Water, and Wind found in scripture. 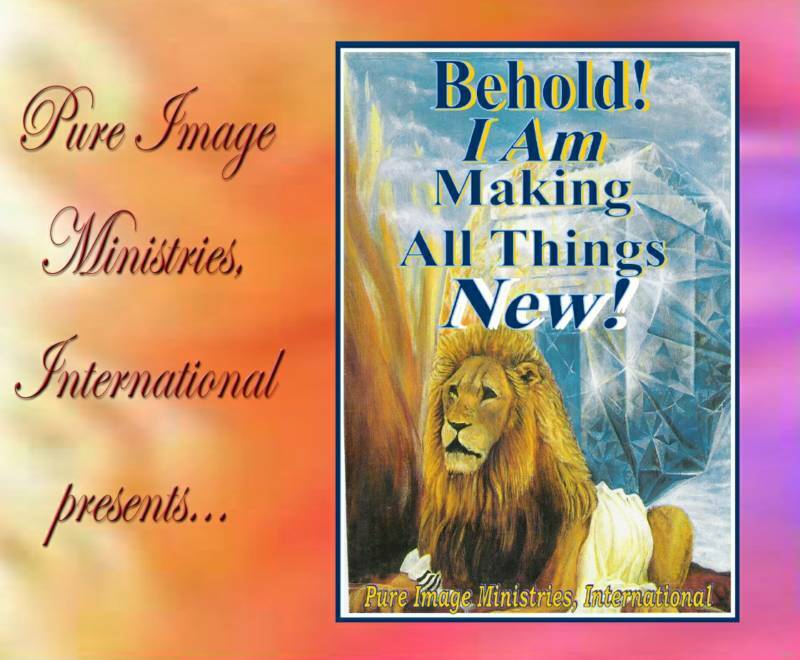 Discover His transformational Power! 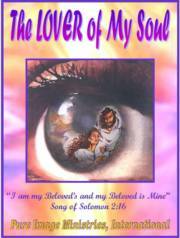 Do you desire a real relationship with Him, He desires one with you! 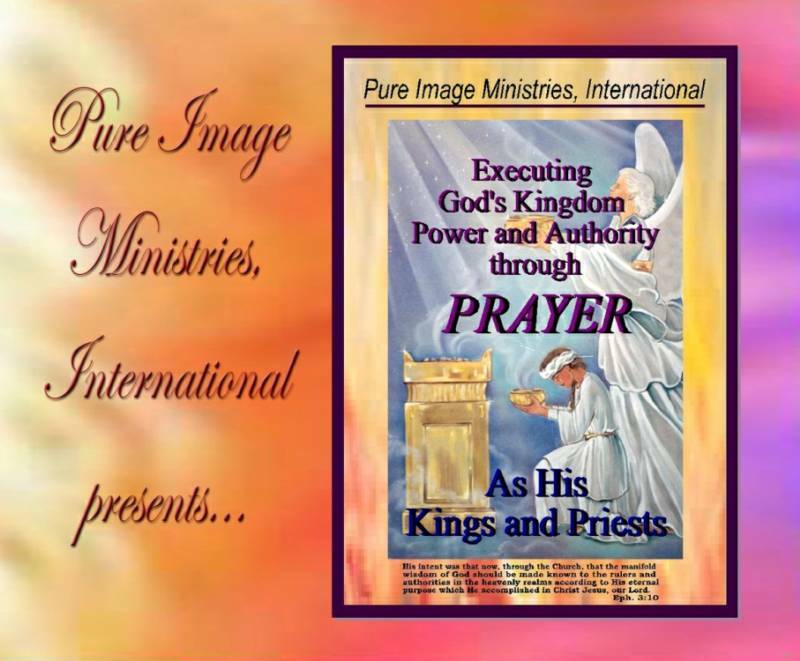 Do you experience His daily presence with POWER or do you have a form of godliness. and deny His person and His power? 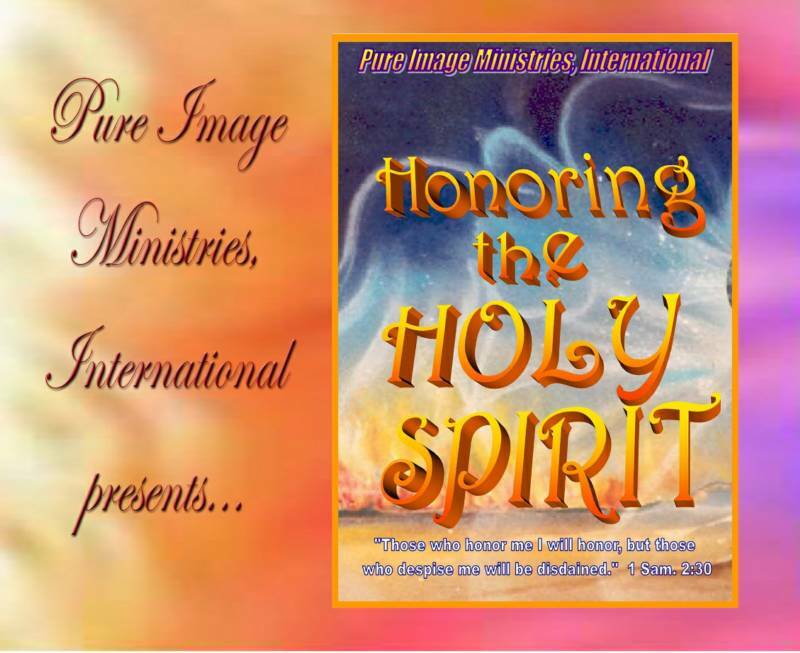 It is time for the Holy Spirit to be honored! Do you know what Covenant is? 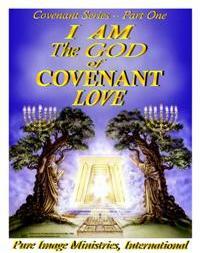 Do you know this AWESOME God of Covenant Love? 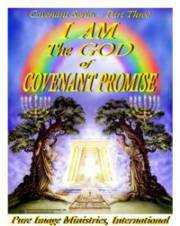 Do you want to walk in agreement with His Covenant Heart and Sound living in perfect harmony with HIM and heaven? 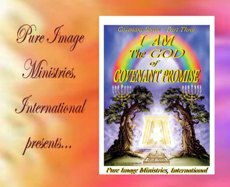 This powerful revelation has been birthed in a time when God's people know very little of covenant and His covenant ways. Many of us have walked with a covenant breaking heart and sound. We need to all repent of our covenant breaking ways. These truths will help us know the God of Covenant, lifting you into His heart of Covenant Love, transforming us all from glory to glory. No covenant--no glory! 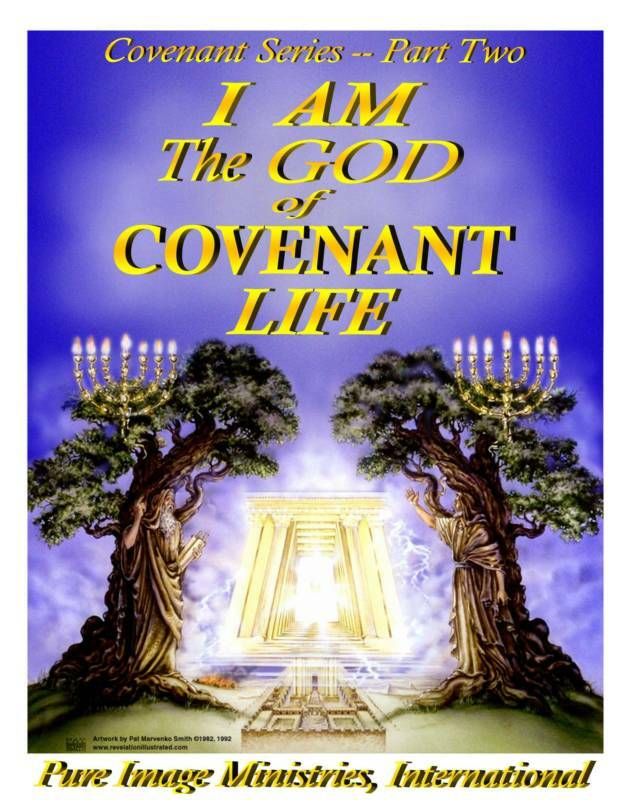 Do you know what Covenant LIFE IS? 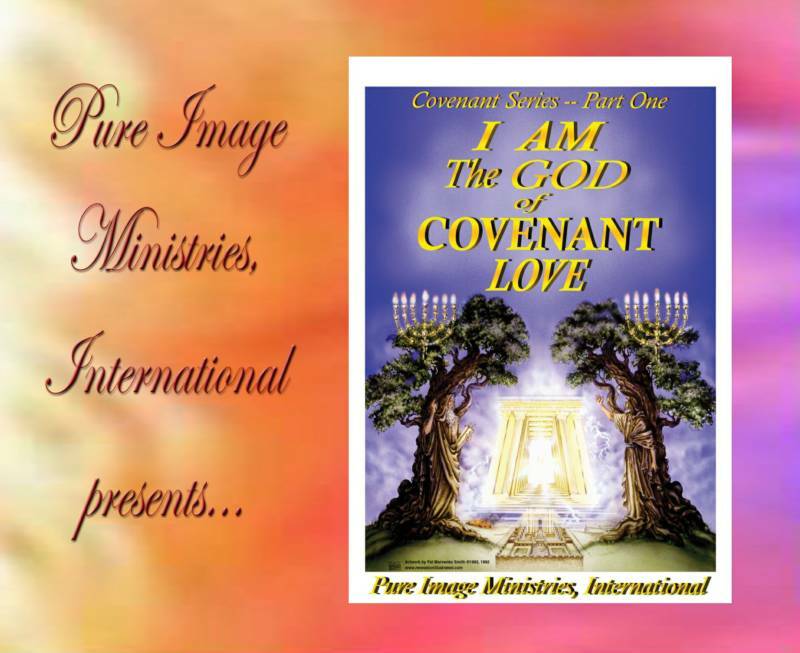 Are you living in a overcoming Covenant Life? Do you know where His Life is being robbed from you? Do you truly realize that the Lord is your Life? He is the Way and the Truth and the LIFE! 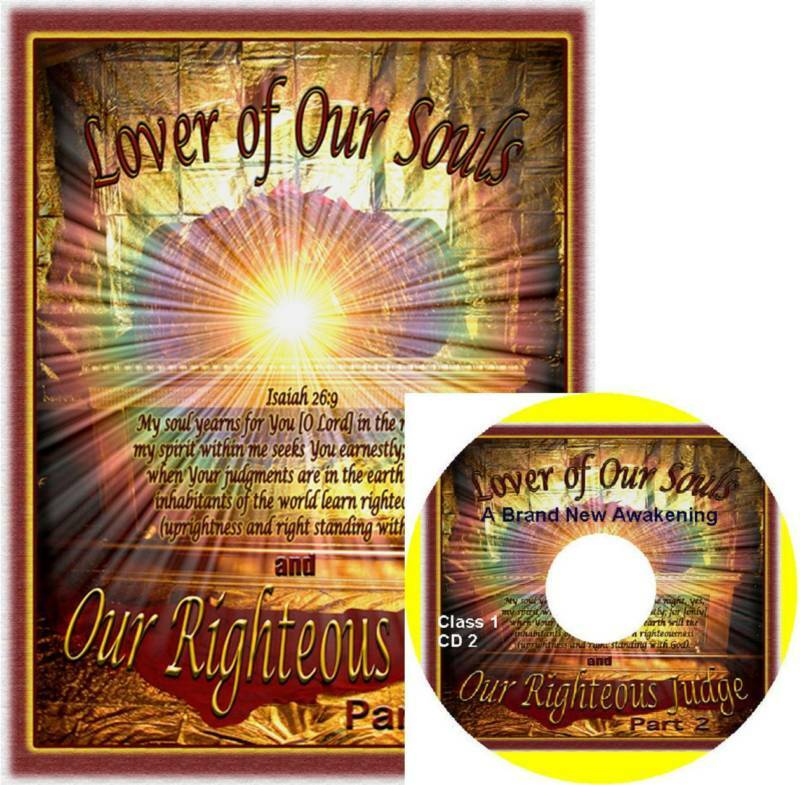 This teaching will open your eyes and heart to the Radiance of His Righteousness. You will be taken back into the Garden to examine the subtle lies that man was deceived by and you will learn that these lies can still apply to our thinking today. We will look at the dangers of the "fallen places" to see how far away from His Righteousness and Life we have lived. We will learn to build upon His foundations instead of fallen foundations based upon these age-old lies. Shipping for just one item. Shipping for more than one item. order form, filling it out and mailing it to us with your check. Please be sure to add a Shipping item to your order.